White House press secretary Josh Earnest speaks during his daily news briefing at the White House in Washington, Monday, Dec. 8, 2014, where he answered questions on the CIA, Yemen, and other topics. WASHINGTON (AP) — American embassies, military units and other U.S. interests are preparing for possible security threats related to the release of a report on the CIA's harsh interrogation techniques at secret overseas facilities after the 9/11 terror attacks. The report from the Senate Intelligence Committee will be the first public accounting of the CIA's use of what critics call torture on al-Qaida detainees held at "black" sites in Europe and Asia. The committee on Tuesday was expected to release a 480-page executive summary of the 6,000-plus-page report compiled by Democrats on the panel. "There are some indications that the release of the report could lead to a greater risk that is posed to U.S. facilities and individuals all around the world," White House spokesman Josh Earnest said Monday. "The administration has taken the prudent steps to ensure that the proper security precautions are in place at U.S. facilities around the globe." Army Col. Steve Warren, a Pentagon spokesman, said "there is certainly the possibility that the release of this report could cause unrest" and therefore combatant commands have been directed to take protective measures. U.S. officials who have read the report say it includes disturbing new details about the CIA's use of such techniques as sleep deprivation, confinement in small spaces, humiliation and the simulated drowning process known as waterboarding. It alleges that the harsh interrogations failed to produce unique and life-saving intelligence — a conclusion disputed by current and former intelligence officials, including CIA Director John Brennan. It also asserts that the CIA lied about the covert program to officials at the White House, the Justice Department and congressional oversight committees. President Barack Obama has said, "We tortured some folks." 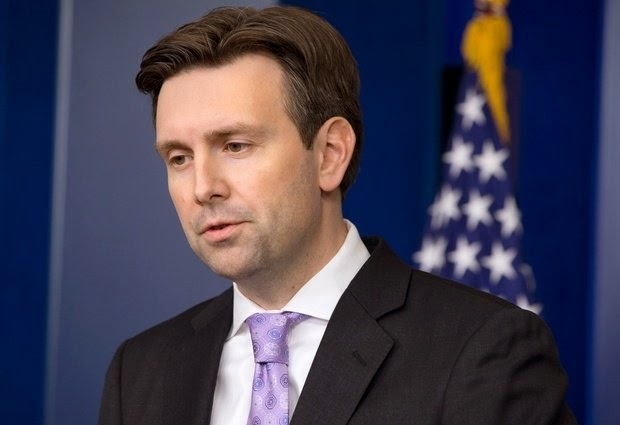 Earnest said that regardless of whether the U.S. gleaned important intelligence through the interrogations, "the president believes that the use of those tactics was unwarranted, that they were inconsistent with our values and did not make us safer." While the White House has said it welcomes the release of the summary, officials say they do have concerns about potential security threats that could follow. On Friday, Secretary of State John Kerry asked the committee's chairwoman, Sen. Dianne Feinstein, D-Calif., to "consider" the timing of the release. White House officials said Obama had been aware that Kerry planned to raise the issue with Feinstein, but they insisted the president continued to support the report's release.